Trying to build a new reality to contest the gentrification of my neighbourhood; understanding that today the construction of a community is perhaps a social and performative act, I started to dig an allotment in the Heygate Estate near Elephant and Castle. 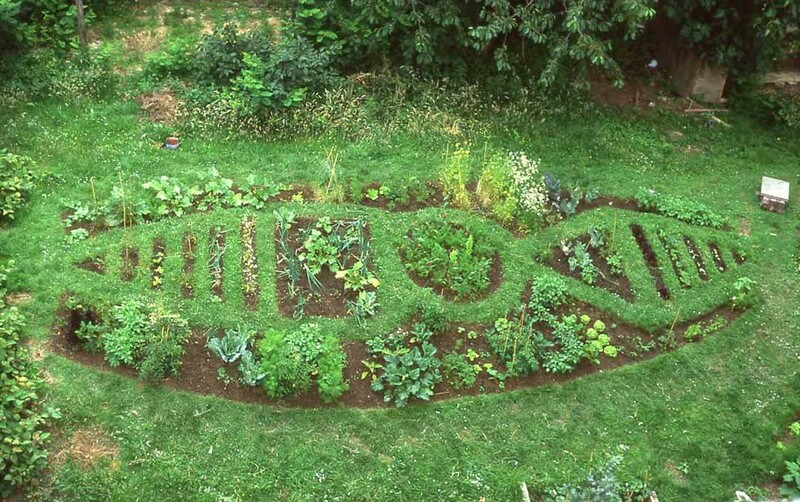 The garden I created was shaped like a flag, and was as well an ornamental object. Together with other gardeners, residents, and friends… we contributed towards building a community to support the last remaining residents on the estate. I chose to document the process of construction of this heteroclite community and at the same time the evolution of my garden.The garden made to be seen from the sky was the symbol of our rebellion. Having no real destination but being in the same way the only language which could testify to the violence of capitalism, it was a sign of life in the ruins of the council estate.